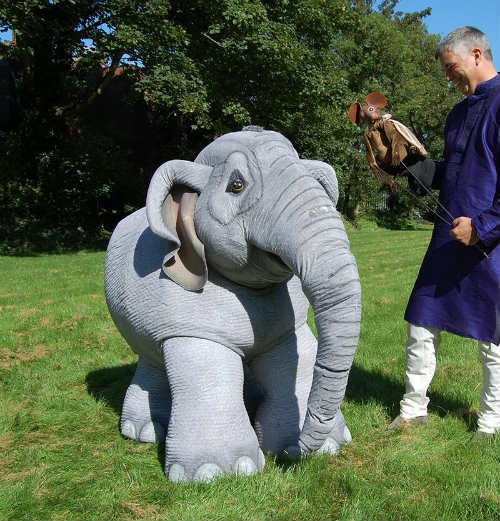 This whimsical show tells the Indian Panchtantra story of the Elephant and the Mouse. 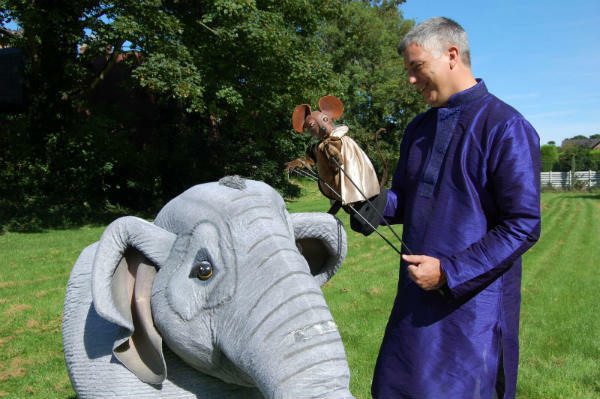 Adambara and Zhim’ is a charming and whimsical show based on the traditional Indian Panchatantra story of the Elephant and the mouse. 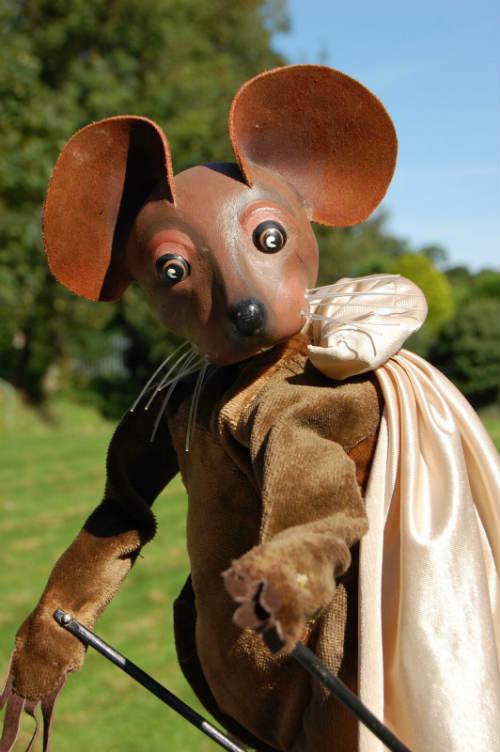 The story is told by our narrator and mouse Zhim and encourages audience interaction and participation. 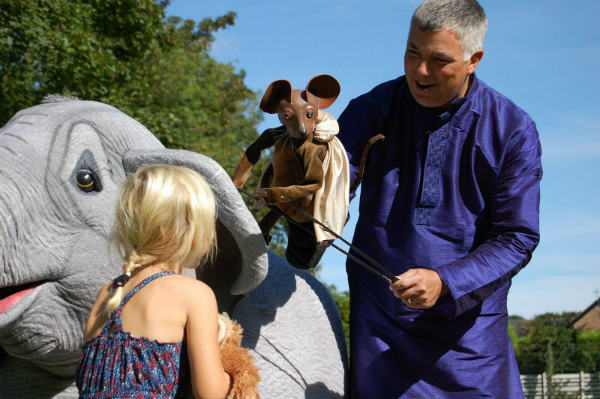 Through enchanting puppetry and storytelling we see how the two creatures learn to live side by side in harmony and how a tiny mouse helped the elephants to survive. 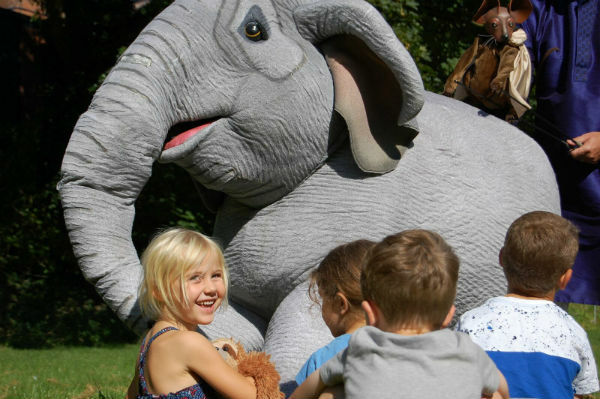 featuring Adambara our roaring Elephant, and Zhim our gentle mouse and has a message of friendship, peace and harmony. The Panchatantra stories consists of five books of animal fables and magic tales (some 87 stories in all) that were compiled, in their current form, between the third and fifth centuries AD. It is believed that the original collection was compiled in Kashmir about 200 BC, and that at this time many of the stories were already ancient. However, the themes still resonate today promoting the importance of living together harmoniously. 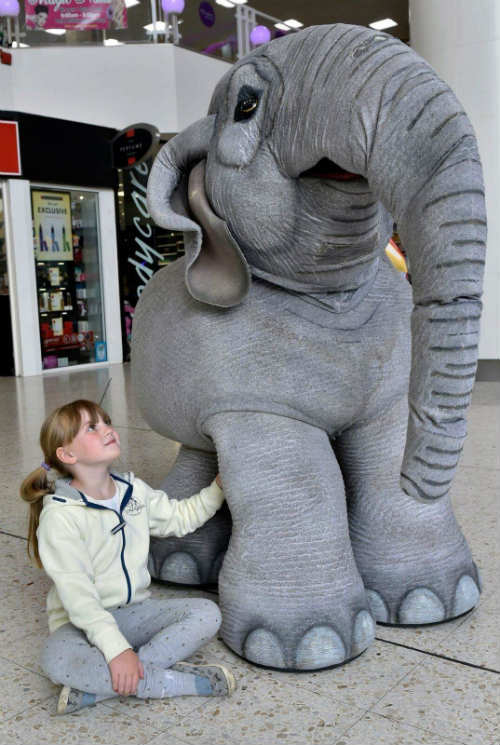 This culturally diverse show has been well received in a variety of venues with our elephant Adambara proving very popular with young people. The performance includes commissioned music, sound effects and audience participation. Currently performing across England shopping centres, play days, and festivals. 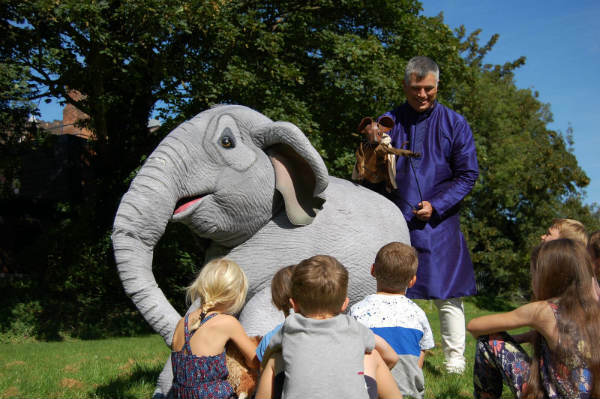 Just wanted to say thank you, everyone loved the elephant show at our Wordpool Family Day last week and wanted to report the following special story to you from one of our volunteers. It was a pleasure to be involved again this year as a Wordpool volunteer. I do hope it will continue in future as it brings so much pleasure to the families involved. One mum I met was with her five year old who was terrified of any interaction with anyone ( I am guessing her is on the autistic spectrum). When we persuaded him to let Zhim the mouse come to say hello to him, he actually forgot his fears and enjoyed it. His mum was in tears. You can’t put a price on what that did for that child.